18kt rose gold case with a black (alligator ) leather strap. Mounted 18kt rose gold bezel set with 60 diamonds. Silver dial with blue hands and Arabic numeral hour markers. Minute markers around an inner ring. Dial Kind: Analog. Day / night indicator on the 6 o’clock position. Automatic movement with a 43 hour power reserve. Scratch resistant sapphire crystal. Skeleton case back. 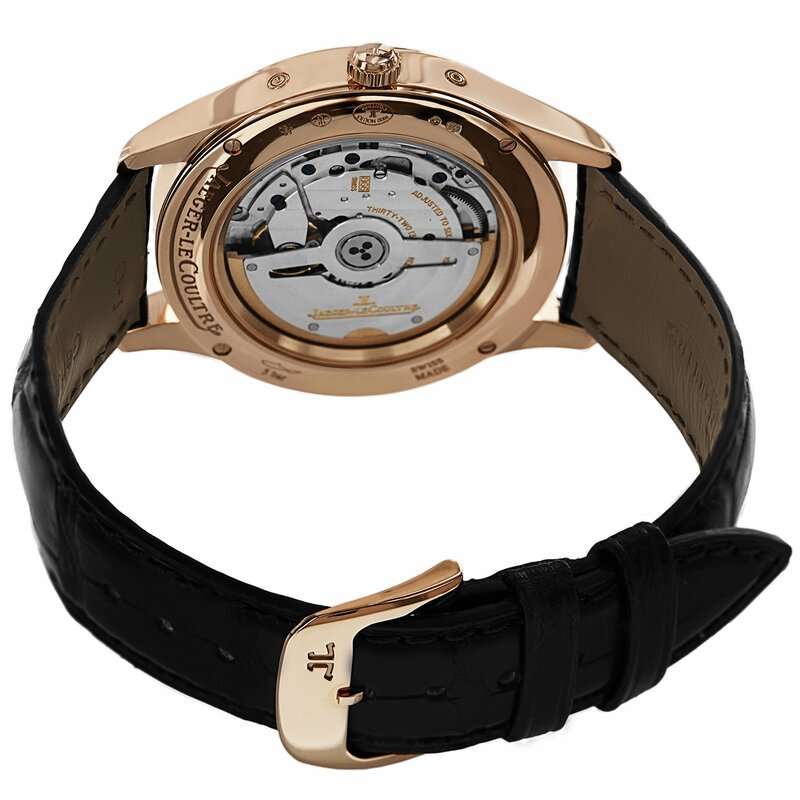 Case diameter: 34 mm. Case thickness: 8.8 mm. Spherical case form. Deployment clasp. Water-proof at 50 meters / 165 feet. Purposes: hour, minute, second, am/pm indicator. Get dressed watch taste. Watch label: Swiss Made. 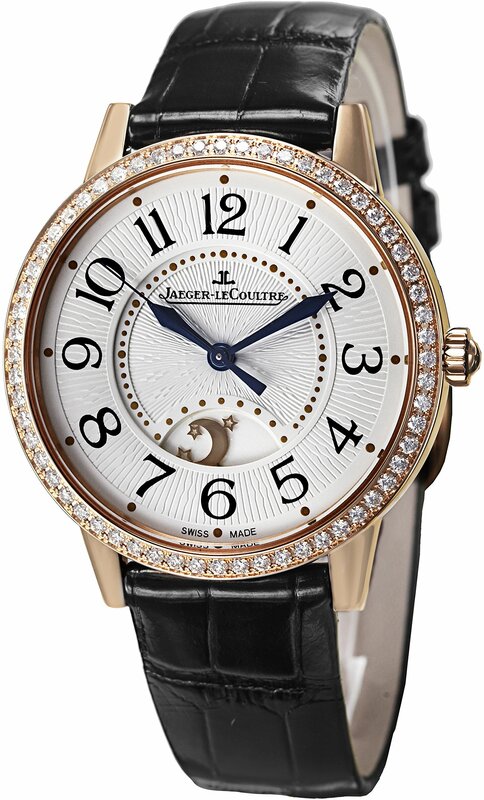 Jaeger LeCoultre Rendez-Vous Silver Dial 18kt Rose Gold Diamond Black Leather Girls Watch Q3442520.